Last month we did a little survey and asked 500 people about their experiences of receiving gifts. One of the things we discovered, aside from pretty much everyone in London wanting to escape to a spa, was that 44% of our respondents classed their last Mother’s Day gift as “quite memorable”, while 25% didn’t remember what they got at all. So with this in mind, what can you do to make sure that your mum joins the 19% who had a very memorable Mother’s Day? Diaries at the ready, folks. Mother’s Day in the UK is on Sunday 10 March. That’s this Sunday. If you’ve completely forgotten, cancel those plans, set a reminder, pay her a visit, or if you can’t do that, at least pick up the phone and make a call. As tempting as the “Mother’s Day Bargain” aisle of the supermarket is at this time of year, we recommend giving your Mother’s Day gift some real thought. Not every mum’s idea of fun will be getting pampered at the salon, so tailor your gift accordingly. What doesn’t she have time to do on a day-to-day basis, and how can you make it happen? As our survey results indicate, after all the hype on TV adverts and in the shops, the day itself can sometimes fall short of expectations. So if you’ve let Mother’s Day slide with a last-minute card for the previous few years, why not do a bit of planning and take her by surprise? Whisking her off for an adventure experience which is entirely out of the ordinary will definitely give your mum a day she’ll remember. Above all, most mums just want a bit of time out from the norm on Mother’s Day. No matter what you end up doing – whether you plan ahead or go the last minute route, make sure the effort is minimal on her part and shelve everything else. That means putting the iPhone down for a few hours, setting the digibox to record, and attempting to make the dinner. Sometimes, the thought is all. 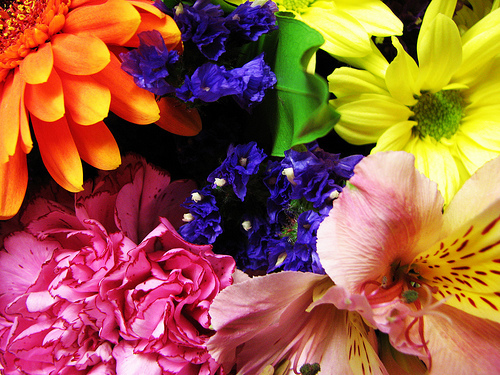 Have you ever had a really memorable Mother’s Day, or does it sometimes fall short?